52491 ND HUNGARY (1965) Tales from Arabian Nights*. 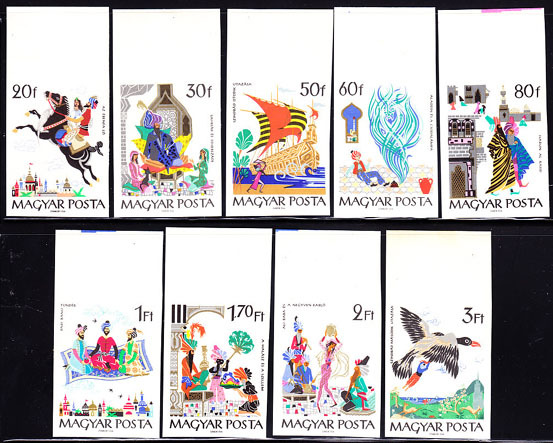 Set of 9 imperforates. Scott Nos 1716-24, Yvert Nos 1780-8. 54941 SPE JAPAN (1974) Crane becomes wife of peasant*. Set of 3 with MIHON (specimen) overprint. Scott Nos 1158-60. 43904 SPE JAPAN (1974) Mini-mini Boy*. Set of 3 specimens. Scott Nos 1166-8, Yvert Nos 1111-3. 43906 SPE JAPAN (1975) Urashima Taro*. Specimen. Scott No 1206, Yvert No 1143. 60813 MAX LIECHTENSTEIN (1984) Root carvings*. Set of 3 maximum cards. "Destruction of Trisona". Scott Nos 781-3, Yvert Nos 784-6. 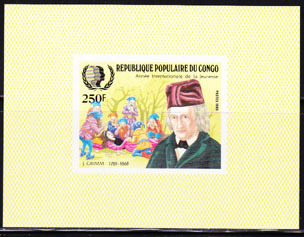 43908 ND CONGO (1985) Grimm*. Dwarves*. Sleeping Beauty*. Imperforate minisheet. Scott No 736, Yvert No 757. 67758 SPE NORTH KOREA (1985) Tale of hedgehog and tiger. Set of 5 specimens. Scott Nos 2464-8, KSC Nos 2503-7. 67820 SPE NORTH KOREA (1988) Eight fairies of Mt. Kumgang. Set of 6 specimens. Scott Nos 2740-5, KSC Nos 2797-2802. 49075 SPE NORTH KOREA (1988) Eight Fairies of Mt. Kumgang*. Set of 6 overprinted SPECIMEN. KSC Nos 2797-2802. Scott Nos 2740-5. 55038 SPE JAPAN (1990) Fairy riding horse*. MIHON (specimen) overprint. Scott No 2059. 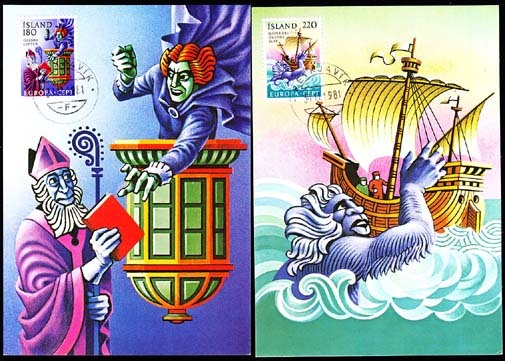 68546 SPE MONTSERRAT (1996) Mythical creatures. 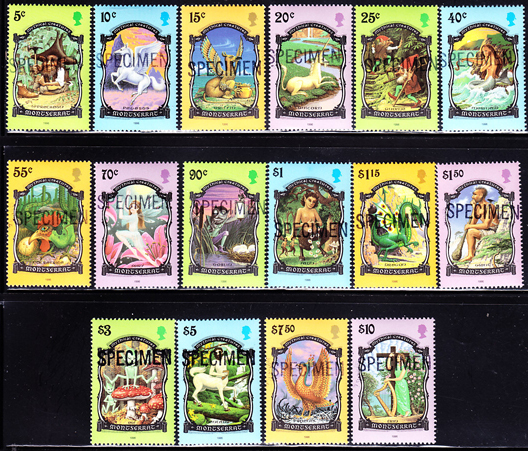 Set of 16 overprinted SPECIMEN. Scott Nos 896-911. 52539 SPE TAIWAN (1998) Chinese fables*. Set of 4. Scott Nos 3195-8. 49206 SPE NORTH KOREA (1998) Tale of Chun Hyang*. Set of 3 overprinted SPECIMEN. KSC Nos 3922-4. Scott Nos 3818-20. 68312 SPE NORTH KOREA (1998) Tale of Chun Hyang. Set of 3 specimens. Scott Nos 3818-20, KSC Nos 3922-4. 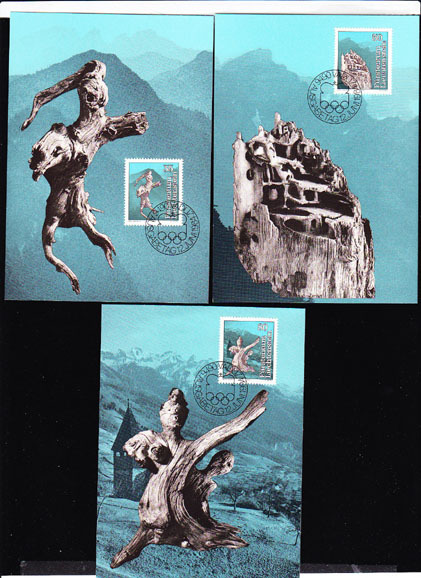 36712 EP AUSTRIA (1999) Heilige Notburga*. Black proof. Scott No 1794, Yvert No 2117. 52584 SPE TAIWAN (2001) Chinese fables*. Set of 4. Scott Nos 3374-7.